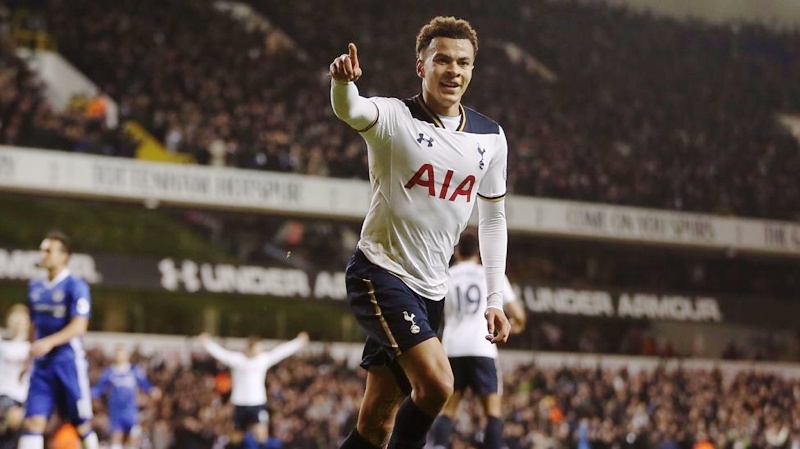 What areas must Tottenham target to defeat Chelsea? It is the most interesting of match ups this weekend as last season’s champions take on the runners-up. Chelsea must travel to Tottenham on Sunday as they look to kickstart a campaign that has already hit a roadblock following their 3-2 defeat by Burnley in their opening bout. Tottenham on the other hand are fresh off the back of a 2-0 win over Newcastle, with all of the momentum with Spurs. Chelsea will be without Gary Cahill and Cesc Fabregas due to their red cards last weekend, while Diego Costa is still missing from the side with his future clearly away from Stamford Bridge. Tottenham on the other hand look very settled, and Harry Kane and Dele Alli have taken their form from last season and built on it, with a goal for the latter in their opening game. In the buildup to the match then, Spurs hold all the ace cards, with Chelsea, playing poorly and missing key players, holding a low pair of twos. While Chelsea may be their own worst enemies, Tottenham can turn their bad dream into a nightmare with a demolition job at Wembley. Tottenham cruised to a win over the Magpies, helped largely by Jonjo Shelvey, while had Burnley not retreated deeper and deeper and invited Chelsea to attack them, then the visitors could have won 3-0 outright. Tottenham represent a team that know how to play attacking football, they can keep the ball well, and they are superb defensively. This is a recipe for disaster for the Blues, who have had anything but the ideal start to the season. With the Blues coming unstuck last weekend, what must Tottenham focus upon in order to maximise their offensive ability against Chelsea? Against Burnley, Chelsea were defensively naive as they allowed their opposition to play the ball out from the back with little pressure, leading to all three of their visitor’s goals. Once they had allowed Burnley to play the ball out from the back once, they should have stopped it from happening again. However, instead of applying pressure and cutting off their potential avenues of escape, forcing them to launch the ball up the field, they stood off their opponents, who duly obliged with goals due to the space they were given. Tottenham, who are outstanding on the ball, will be more than happy to build from the back then, with their defence all adept on the ball. Once the likes of Christian Eriksen and Dele Alli are able to turn and look for the next pass, Chelsea will be in all kinds of trouble, as their ability and creativity could prove the difference between the two teams. For Chelsea, it is simple, they must press their opponents further up the pitch. If a player is under pressure in or just outside of their own box, then they are more likely to make a mistake that costs them. By contrast, if Eriksen loses the ball outside of Chelsea’s box, the danger to Tottenham is relatively small, whereas if Toby Alderweireld misplaces a pass next to his box then it is likely to lead to a chance. It benefits them both defensively and offensively then, to track hard, put pressure on their opponents and deny Tottenham space when on the ball. With Cahill and Fabregas now missing, it could lead to Chelsea being forced to play both Anthonio Rudiger at centre-half and Tiemoue Bakayoko in the middle of the park, which is not ideal for a London derby of this magnitude. Throughout the summer, it seemed as though Chelsea would keep one of the most settled sides in the Premier League, however, they will actually be playing with an almost completely different spine to last season. The likes of Rudiger, Bakayoko and Alvaro Morata are likely to play and it is a case of out of the frying pan and into the fire for them with a match in which Tottenham will want to crush their opponents. Spurs will likely target the new boys with sustained pressure on their touches, by cutting off their options to pass and forcing them backwards whenever they are on the ball. In a game of this importance, all it takes is one misplaced pass, miscued clearance or sloppy touch to cause doubt to spread in a players mind. Chelsea’s new signings may of course stand up and take the challenge in their stride, but they may also be the successful targets of Tottenham’s plan to disrupt the reigning champions. Tottenham’s two best players by a clear distance are Harry Kane and Dele Alli. When Kane is on form, he is up there with the best strikers in the world. When Alli is playing well, he is a menace in and around the box with his clever movement and strikeresque finishing. Antonio Conte has not been coy with his thoughts on Kane, singling him out as a top striker, and it is likely that the English forward will be the main focal point of attack on Sunday. His speed, deft touches and intelligent use of the ball will cause Chelsea all kinds of problems, while his physical presence will give Rudiger a massive issue to deal with should Kane decide to target the German. If Chelsea allow Alli to pick his head up in midfield and surge forward, then it will be a long day for them. Against Newcastle, the midfielder was at his best. He was given too much time and space as he ran the show in the middle of the park. This resulted in Alli picking up a goal and putting in an outstanding performance. Newcastle did not learn their lesson quickly enough and they paid the price following a foolish red card that was picked up by Jonjo Shelvey. Chelsea must take the lessons from their game agasint Burnley with regard to lacking pressure on the ball and intead try to suffocate the options for the young Englishman. This London derby could prove to be a very entertaining one this weekend as both sides look to win for very different reasons. For Chelsea, it will halt Tottenham’s progress whilst also kickstarting their campaign. Spurs on the other hand are looking to make it two wins from two in the league this season. While a defeat for Spurs would not be termainal, if Chelsea are to lose, they would already be six points off the pace with two defeats in two. While Conte did win the league last year, he will know better than anyone that he is in no way invincible at a side that has gone through their fair share of managers.